Croatina, widespread in the relatively far region of Oltrepò Pavese, is a variety of vines that is little cultivated in Piedmont; its presence is largely restricted to Tortona, High Piedmont and in the district of Cisterna d’Asti (between Monferrato and Roero and around the border between the Province of Asti and Cuneo). Traditional wine of Cisterna d’Asti, it has purplish red color, both very intense and deep. On sandy soils and limestone of Cisterna d’Asti, when its production is not exaggerated, it develops a texture — a pleasant scent of the variety. It has a characteristic astringent aftertaste (hallmark of grape croatina). 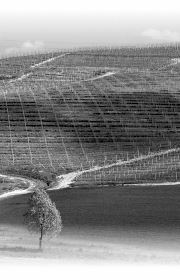 The De Scapin wine is produced in a strictly still fashion, although the specification allows for the possibility of a lively sparkling version, and with 100% of the croatina grapes coming from the municipality of Cisterna d’Asti, in Varija Bellegardo (from 240 to 270 m above sea level). 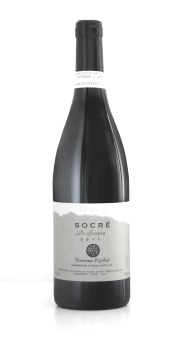 Intense color, soft texture and deep, sustained body, evident tannins and alcohol content between 13.5 and 14.0% make it a wine of great class and immediate pleasure. 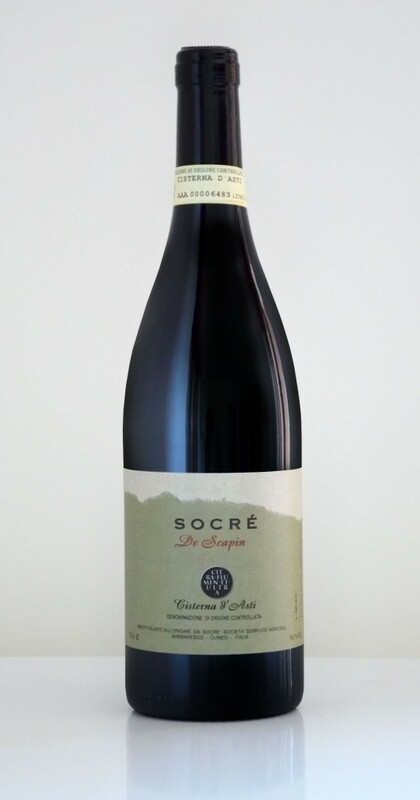 We recommend it in combination with oily dishes (cheeses, meats) that are enhanced by the ability of the tannins of the wine to “clean” and degrease the palate. Purplish red in color, almost impenetrable. Alchohol content is contained usually between 13,5 e 14,5% /vol.